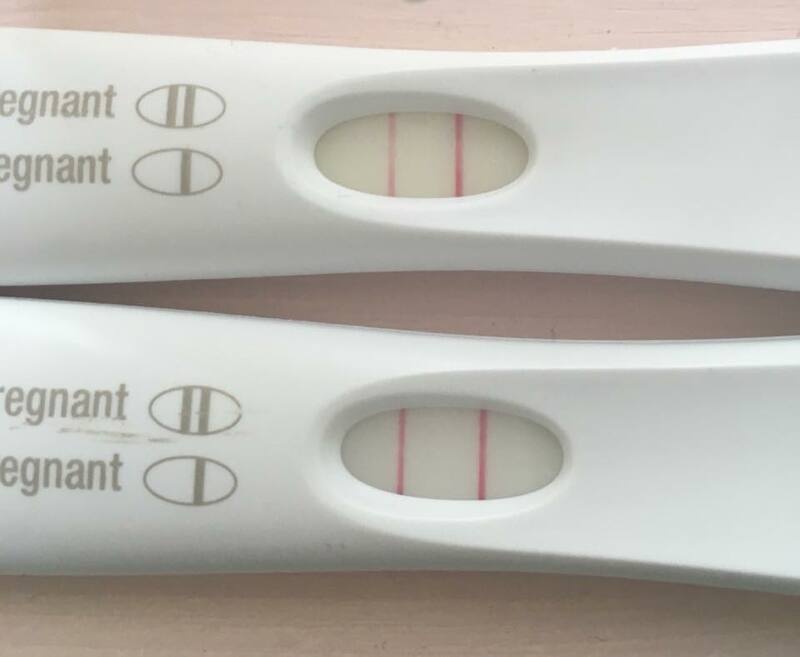 Surrogacy Update - Heterotopic Pregnancy | Then there were three..
Around a week and a half after I underwent fertility treatment, I lost some form of tissue mass and started to bleed. As we were part way through the two week wait, I decided to ring the clinic for some advice. They advised me to test early so that they could advise further once they knew a bit more about the situation. Straight away two pink lines appeared on the pregnancy test and I was advised to increase some of my medication to try and control the bleeding. At this point I truly believed that I was miscarrying, especially with the tissue mass being passed earlier in the day. Over the course of four days the bleeding intensified and I was cramping. After what seemed like weeks the clinic tested my HCG levels over 72 hours; the results surprised us all as they had tripled in this time. Despite the heavy bleeding, I was still pregnant. We were then on another wait for our first scan with the clinic at seven weeks. Eventually the date rolled around and my IPs and I made the trip to the clinic for them to see their little bean for the first time. Initially the scan went perfectly; the little bean was there for the parents to see and they even got to listen in on the heartbeat which I was surprised that they would do. Our sonographer told us that she was going to look around everywhere to make sure that there was just the one baby and none others hiding away. As she scanned everything seemed fine, until she moved across to my right fallopian tube and her facial expression changed. I was immediately asked if I had felt any pain or discomfort on my right side - when I replied that I hadn't she informed us that there was some sort of "mass" in my right fallopian tube and she needed the doctor to rescan me to confirm. By this point I wasn't really all that concerned, more curious as to what was going on. The doctor came in and scanned me - it was then that I heard the word "heterotopic" and discussions about calling my local EPU as soon as possible. At that moment I thought that something definitely wasn't right; I had never heard of the word heterotopic before but I knew that it couldn't be good if they were considering sending me straight to hospital. The doctor left the room and our sonographer explained what was happening. Herself and the doctor suspected that the mass was a heterotopic pregnancy; it's a rather rare complication where an ectopic pregnancy occurs at the same time as a regular pregnancy. She advised that they would be calling my local EPU and told me to go home and pack an overnight bag and to head straight there - it was at this point where she also advised me that if a heterotopic pregnancy was confirmed, then I would have my fallopian tube removed. However, she also told me that at that present time it looked like an empty gestational sac, or one that was behind in gestation. There was every chance that I had started to miscarry and the sac hadn't completely come away. If I am being honest, I panicked. I did my utmost best not to show this to my IPs as they were concerned and upset upon hearing this and I didn't want them to feel worse than what they already did. However I am a bit of a fainter, especially in pregnancy. I could feel the room getting warmer so ended up having to lay down in front of a fan whilst my IM kept an eye on me. Despite knowing that my own family was complete, the thought of losing a fallopian tube was still a scary prospect; anything is when surgery is involved, especially as surgery would pose a major risk to the healthy baby. 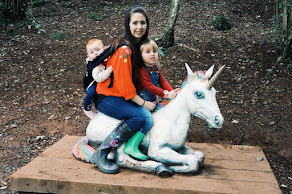 By the time we got to my local EPU their scanning department was closed and they didn't seem overly concerned; they gave me the option to be admitted for the night and scanned the next morning or to come in first thing for a scan - I opted for the latter as I wanted to get home to my girls. The next morning I was scanned and was told that if anything was found I would be operated on that day; initially the sonographer thought that the clinic may have seen my bowel in the scan as it was covering a part of my right tube. Then I heard her say "No, I can see it. It's right next to your ovary" - she then sent me back to wait whilst she called a consultant to check. When the consultant scanned me, everything changed. He said that as the ultrasound was a black and white image he couldn't be sure that it was a heterotopic as it could also be a cyst. As there had been no sexual activities since the fertility treatment he was fairly certain that if it were a heterotopic pregnancy, then it hadn't progressed. He advised that the best course of action for now, rather than jumping straight into surgery, would be to scan me on a weekly basis to see if there was any growth. Over the course of two weeks we had several scans which eventually showed that whatever it was was not growing and was shrinking. Eventually, at almost 13 weeks the mass had completely gone. 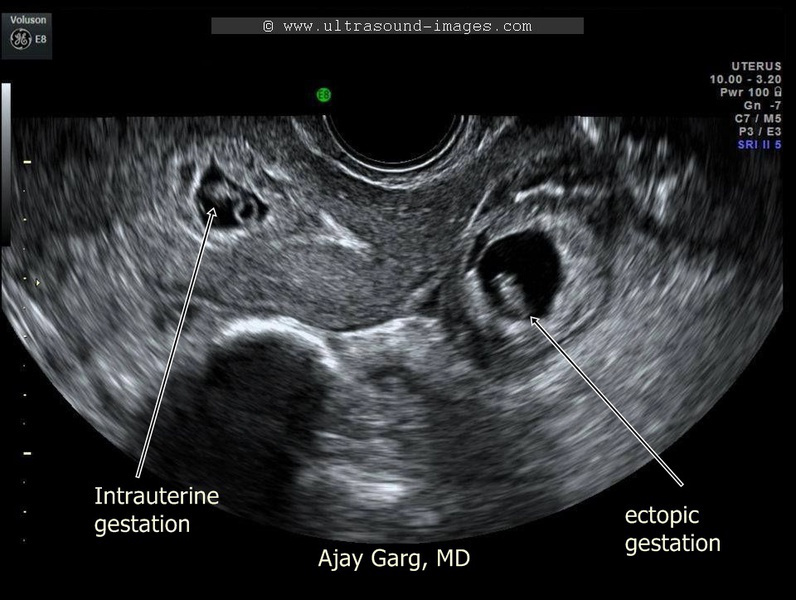 As an ultrasound is a black and white image, they never fully confirmed if it was a miscarried heterotopic or if it was a cyst. However, the sonographer did mention that the bleed and tissue loss that I had earlier on was more than likely a miscarriage, which meant that there would have been twins which is crazy to think about. I have probably missed out so much of what happened during these few weeks but it was such a blur; we are all just thankful that I didn't need to go under the knife! Irish Termination Referendum - Yes or No?